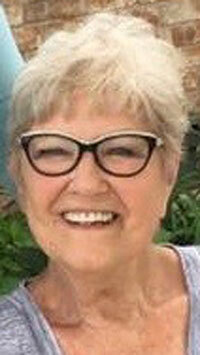 D’Ann Kuykendall Moore, 78, of Springtown, died Thursday, April 11, 2019, in Fort Worth. Funeral is 2 p.m. Tuesday, April 16, at Midlothian Funeral Home, 200 E. Ave. E, in Midlothian with ministers Rick Davis and David Bennett officiating. Burial will follow in Midlothian Cemetery. Visitation is 1 p.m. Tuesday at the funeral home. D’Ann was born March 20, 1941, in Abilene to George Atwell and Theda Willingham. She is survived by her husband, Don Moore; daughters Cindy Rodgers and husband, Danny, Debbie Philippi and Myia Kuykendall and partner, Jarrett Hinds; stepdaughters Stacy Spurlock and husband, Tommy and Susan Hinton and husband, Jason; 13 grandchildren; and 15 great-grandchildren.